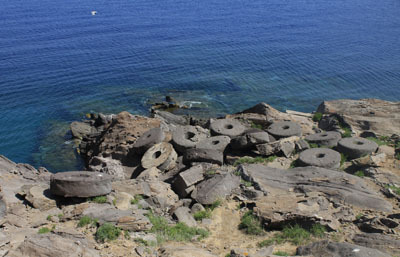 The history of the seven isles of the Aeolian Archipelago dates back to ancient roots. 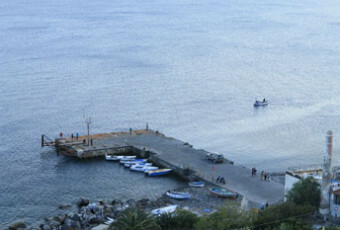 The first groups of populations were settling Filicudi together with the other six islands already during the Upper Neolithic, around 3.000 B.C. The recent excavations, done in Capo Graziano locality, brought on the surface about 20 oval-shaped huts; some of them has a “fishes’ bones” structure, situated on the promontory of the western mountain’s slope around 100m upon the sea level. It is clear, thanks to their particular structure, that these constructions were built in this way to better defend against frequent attacks, and violent raids, which occurred on the island. Inside the huts there were found: pieces of pottery of autochthonous production dating back to the Diana period, discovered on the southern coast of the port. Other pottery of the proto-Mycenaean style, found near to Capo Graziano village, allows us to understand the way the village continued to evolve until 1430 B.C., when it ceased to exist, probably because of a violent destruction. 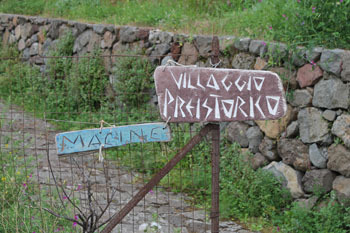 On the highest point of Capo Graziano there is the ancient sacrifice altar of these ancient populations. Beyond the emerged part, Capo Graziano keeps in its marine depths millennia of history, in way to allow the construction of an underwater museum, accessible only by the most expert scuba-divers, having the advanced patent. There are nine wrecks laying on the seabed of Capo Graziano because of the shipwrecks due to the shallow. There are different ways permitting scuba divers and those who are fond of culture to admire the wonders which the seabed keeps. It is possible to go down until the maximum depth of 45m, the point where you can admire the wreck A, belonging to the Greek period, and dating back to the 2 century B.C. From the same point you can observe the wreck G, even today quite totally covered with sand, dating back to the 5th century B.C. More recent is, on the contrary, the wreck “Città di Milano”, i.e. “City of Milan”, dating back to 1919. It is about a Navy ship, whose wreck was caused by the violent explosion of the boilers, provoked by the impact with Capo’s shallow. Beyond the wrecks, on the seabed of Capo Graziano, it is possible to admire numerous amphora, vases and tools. 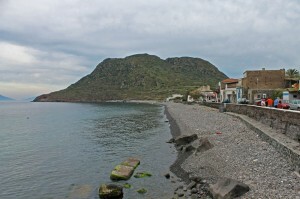 One part of these archaeological findings is kept in Museum of Filicudi “Bernabo Brea”, divided into five exposition areas, and settled in the Port of Filicudi inside a typical Aeolian house. The visit starts with the Room I, which shows the historical and geological chronology of Filicudi, the evolution of man on the island, the volcanology and the relationship between man and environment. In the Room II there are archaeological findings, discovered thanks to excavations made in Capo Graziano and in Piano del Porto, dating back to the Bronze Age. There are also the fragments of Greek-Roman and African pottery, as an evidence of how, in past, the island was a favourite destination of different populations. The Room III is dedicated to marine archaeology with its exposition of amphora dating back to Punic wars, and those of the Greek-Roman period, and also those coming from the wreck A. Finally, in a large room, objects belonging to the Aeolian culture, are situated; it is about tools for fishing and work. Particular attention is given to the windmill for grain grinding, rebuilt and situated in the centre of the room.